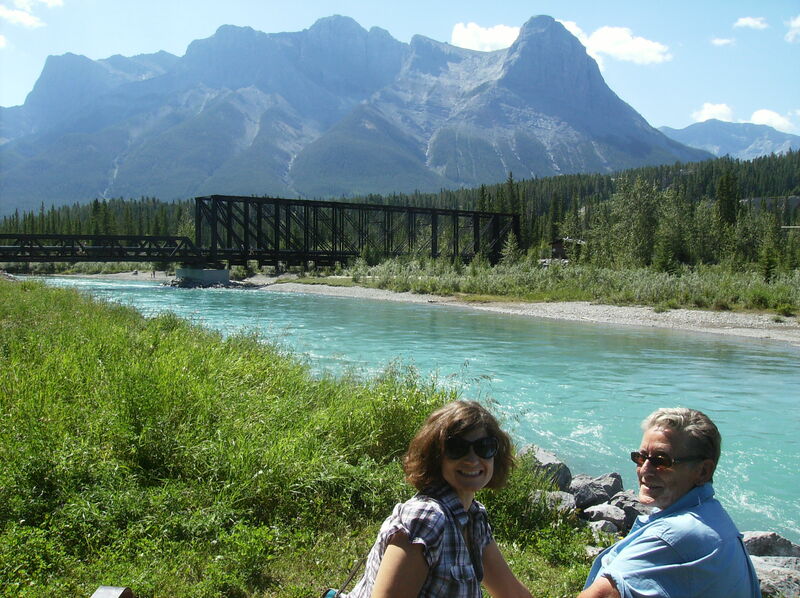 So the lack of summer here in Calgary has led us to spend most of our weekends indoors (often with a beverage in hand) but, a few weeks back we had a beautiful, warm and sunny day so after a fantastic walk along the river in Canmore (which by the way is a well kept and long trail) we felt it was our duty to head to a patio! The Grizzly Paw is a micro brewery in Canmore and has a magnificent patio full of sun and facing the main drag and the beautiful 3 sisters mountains. Darek is a fan of the Grumpy Bear brew which is a lighter beer in the European tradition and in my pre-gluten days I could down a stout or two in no time flat-they make a nice dark stout that you need a fork in order to drink-yum!!! 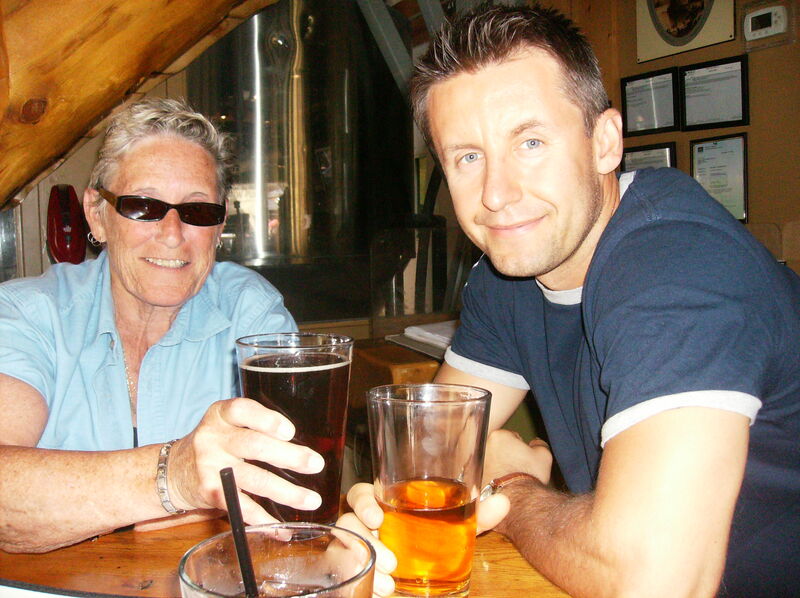 This time we had my mom with us and while she had to drink about 5 pints in order to find her favourite…she landed on the Nut Brown! Grizzly Paw brew with natural ingredients and that really stands out in the taste. Truly excellent beer! Now beer is a no go for my non-gluten life style so I decided to give their sodas a try. Yes- soda… handcrafted with fresh and natural ingredients. Now the last time I had a glass of pop was likely 5 years ago, I never drink sodas as they are too sweet and not worth the calories…not so at Grizzly Paw. The Ginger Beer soda (aka gingerale) was AMAZING!!!! I had 3 glasses—oh and by glasses I mean gigantic pints that are free refills! Then I drifted into Root Beer- oh my goodness…so amazing! So I ended my soda journey with Cream Soda and I thought the server brought me the wrong thing because it wasn’t pink- then it dawned on me…hot pink actually isn’t a colour that occurs naturally in food…and because this is handcrafted naturally made soda it is brown….much more natural colour. The sodas were amazing!!! So pints of beverages, chicken wings and flatbread pizza later…we were pretty happy with another well spent day in Canmore!